Retro look and Cafe Racer design, that best describes the Suzuki SV650X. You can find out all about it here. Run, Turn and Stop is the development philosophy behind the revised Suzuki RM-Z450. It has been improved in almost all areas, ready for victories on the cross-track. Pictures from the Motorradwelt Bodnesee 2017. 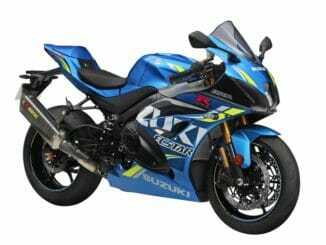 In addition to the already presented GSX-R125 was now presented also a GSX-S125. Pictures of the Suzuki GSX-R 1000 and GSX-R 1000 R. Featured on the Intermot 2016 in Cologne. Presentation of the Suzuki GSX-R 1000 at the Intermot. The 2017 model looked closely. Last weekend there was in Hohenstein-Ernstthal again a state of emergency. The MotoGP was at the Sachsenring. The biggest motorsport event in Germany. The biggest and craziest party in Germany ran parallel to the Ankerberg. Awesome!!! The IMOT in Munich is over. To see there was all innovations of the sector, whether motorcycles or accessories.